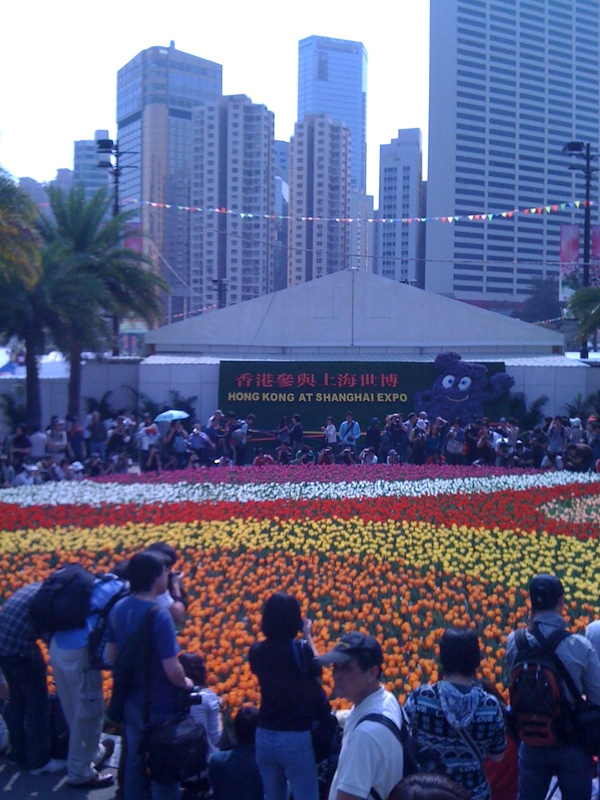 Last Friday, I went to the Flowers Show held in the Hong Kong Victoria Park, which is situated in the middle of the city. The show, which is a two weeks event, features a wide variety of flowers, plants and shrubs grown locally or imported from overseas. 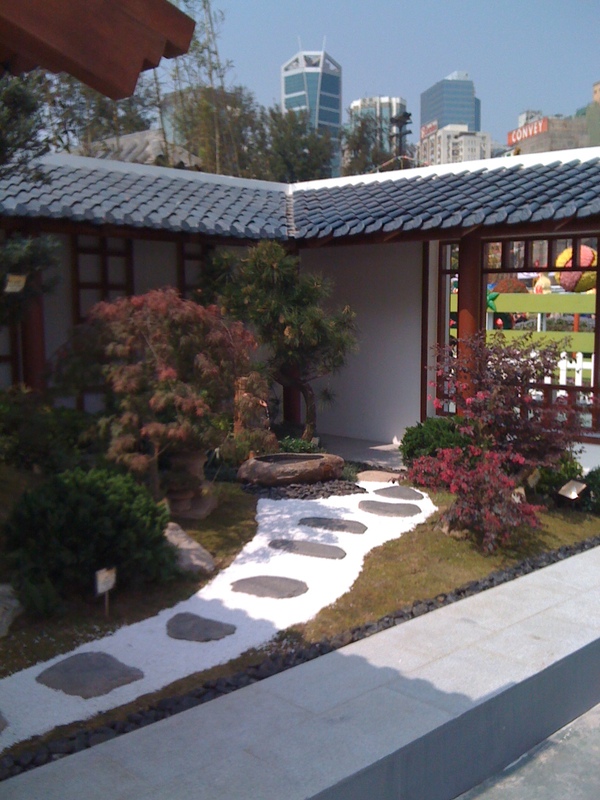 It also features landscapes designed by horticulture enthusiasts from Hong Kong and neighbouring countries. Honestly, the show is nothing spectacular but it attracts a lot of local visitors. It is a big event for Hong Kong because we can hardly see flowers and landscapes in Hong Kong, let alone so many of them all in one place. 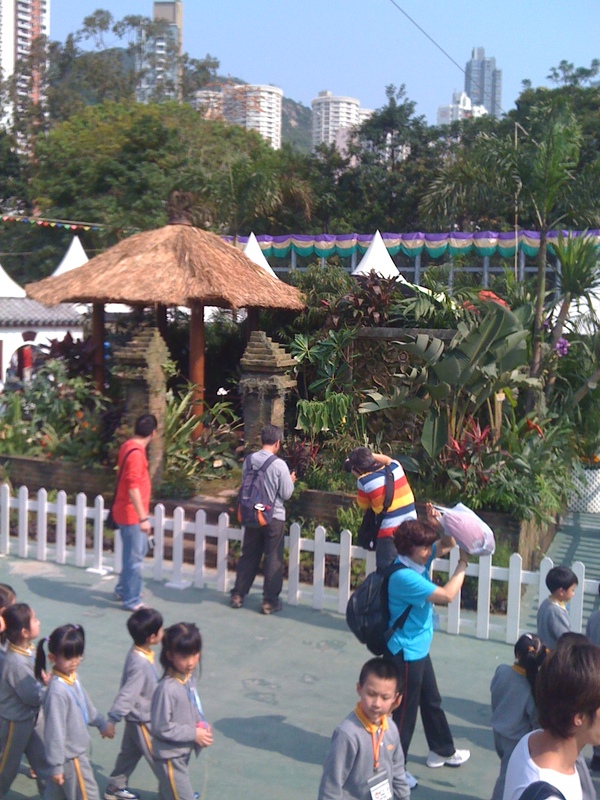 As you can see from my pictures, visitors were busy taking pictures and kids were having a good time. Further, you can see the skyscrapers at the background. That is Hong Kong, nothing but people and skyscrapers. Overall, I enjoyed the occasion very much.